We returned home from our trip to a dreary rain, a happy dog, and to a glorious surprise stacked in a corner of the garage: 6 cases of wine! 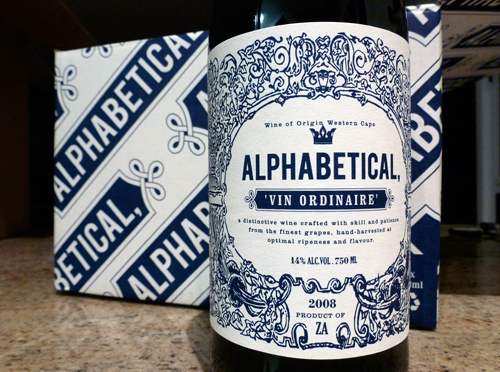 And not just any wine, the latest release from our superstar winemaker friends in Cape Town: The Alphabetical, produced by Simon and David of Owl & Vine. Everything from the packaging to the label design to the actual vino is absolutely top-notch – these boys know what they’re doing. 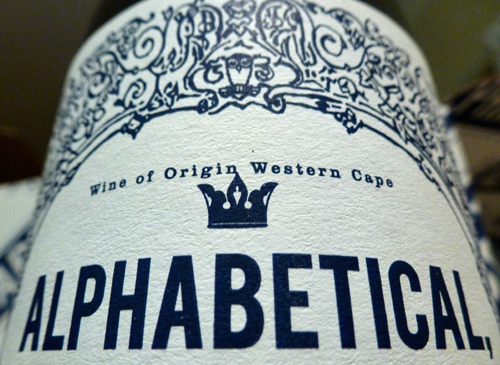 Alphabetical is already creating buzz – even our fave wine shop all the way up here in the wine wasteland of KwaZulu-Natal had already heard of it when we delivered a few bottles to them. Peep them in Cape Town Magazine, or South African GQ, or find Simon at &Union (David is probably there too, only on the other side of the bar and without the paycheck). GQ totally nailed it when describing the boys as “winos who want to break the rules”. Best of luck, my wino friends! The design is absolutely gorgeous. 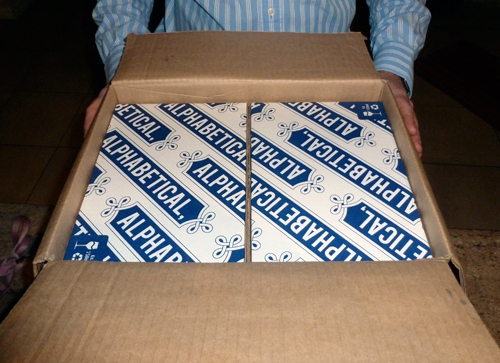 Even the paperstock for the label is drool-worthy!